Set after the events of Captain America: Civil War, Agents of S.H.I.E.L.D. begins its Fourth Season with the Sokovia Accords firmly in place requiring all super-powered beings to be registered with the government. For Daisy (Chloe Bennet) that means life back on the run continuing to hunt down the Watchdogs. For S.H.I.E.L.D. that means increased funding, bureaucracy, and oversight and a new director who will go nameless over the course of the season premiere. "The Ghost" is most notable for introducing the character of Robbie Reyes, AKA Ghost Rider (Gabriel Luna), to the series. Continuing to be about a year behind Arrow's world building, Agents of S.H.I.E.L.D. opens the door to the supernatural. Given the big movie releases are Captain America: Civil War and the upcoming Doctor Strange, I'm guessing events from both films will shape at least the first-half of the season. As for what else the show may have in store for the season, the premiere teases us with foreshadowing of multiple team members' issues with how the agency is run but doesn't offer much in the way of suggesting a big bad, at least not yet. 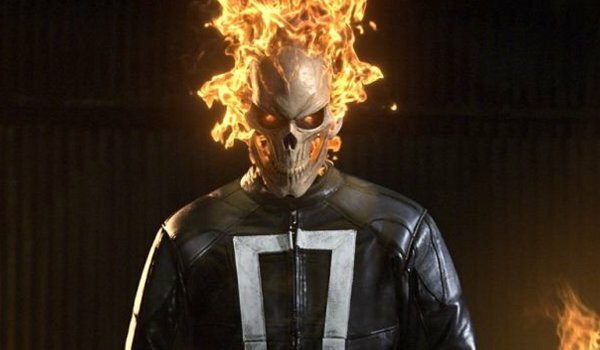 Ghost Rider's addition is an interesting choice for the series (while offering a fair amount of fan service). I'm not sure just how the series plans to incorporate the supernatural into the series, but Luna works well as Reyes and the effects of the character (for a TV series) are impressive. Longtime Marvel Comics fans will have taken note of the introduction of Life Model Decoys, a S.H.I.E.L.D. staple, introduced for the first time here as an unauthorized experiment by Holden Radcliffe (John Hannah). I'm guessing it won't be too long before we get one (or both) of the following storylines: 1) a LMD malfunctions and creates havoc and 2) a LMD is used to show us the "death" of a major character.